It would be easy to dissect all the 90’s shadings and elements that turn up on Cheatah’s self-titled debut LP, but the parlor trick here is how they’ve taken the influences and made them so wholly their own. The London-based group had the album in the can before pulling it for some last minute tinkering, and fault can’t be found with the finished product. While shoegaze provides the template, it’s the band’s melodic savvy that earns repeated listening. Instrumental “I” sets the pace, feedback gathering like a hot tub coming to life, and when “Geographic” hits, it’s the sensation of too hot water enveloping your body that soon won’t be hot enough. Within the guitar stew, atmosphere and mood is their forte, with “Mission Creep” standing out-a perfect distillation of their virtues. Dynamics and sequencing are their friends, as “Kenworth” hits hard and then unfolds a coda that’s a billowing wash of sound, before giving way to the uptempo “Fall”. “The Swan”, from their Sans EP, reappears here in all it’s glory. 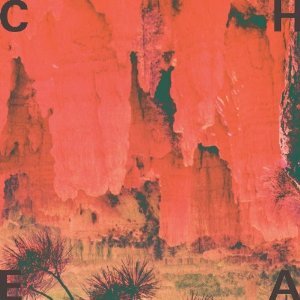 With their big sound, it won’t be any surprise to see Cheatahs steal some thunder from lower down the bill during festival season, so consider yourselves warned.